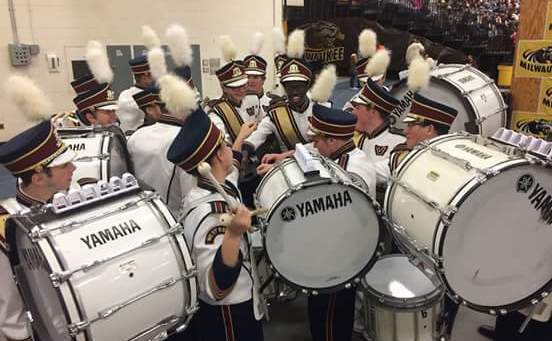 The West Bend High Schools drumline beat out their competition, literally. The drumline traveled to Milwaukee Nov. 26 for the annual Fresh Coast Drumline and Basketball Competition. The competition was held at the University of Wisconsin-Milwaukee, with the drumline placing second out of seven schools. The competition was judged by professional percussionists.